The Institute of International Trade, in memory of Late Prof. Alak Ghosh, conducted an Interactive Session on "EU Crisis and its impact on the Indian Economy" on December 18th 2010, at the premises of St. Xavier's College, Kolkata. Though Prof. Ghosh is no more with us physically but his vision and thoughts shall always remain with us as guiding light and continue to lead us in our pursuit of imparting value based education to the society. The program was initiated with an introductory speech by Prof. Fr Felix Raj (S.J. ), Principal of St. Xavier's college and a board member of the Institute of International Trade. The audience was enlightened about the early days of interactions between our respectable speakers and Late Prof. Alak Ghosh. The chief speaker of the session Dr. R. K. Sen, former President of the Indian Economic Association, enlightened the audience on the European Union Economic Crisis and its impact on the Indian economy. Finally, Dr. D. R. Agarwal, Director of the Institute of International Trade, concluded the interactive session by deliberating on the EU Crisis and its potential impact on emerging markets, USA, and the European Union itself. 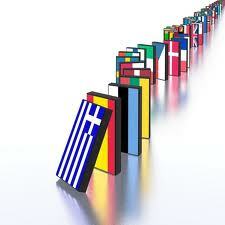 In early 2010, fears of a sovereign debt crisis, the 2010 Euro Crisis, developed concerning some European states, including European Union members called PIIGS - Portugal, Ireland, Italy, Greece, and Spain (see article). The crisis led to a severe dip in confidence in the European economy, manifested by an increase in sovereign bond spreads and risk insurance on credit default swaps between these countries and other EU members, most importantly Germany. Financial markets have since been alarmed due to concerns about rising European government deficits and downgrading of sovereign debt (read more). Dr. D. R. Agarwal is a practicing Chartered Accountant since February 1982. He has participated in various international conference/seminars such as WTO Ministerial Conference in Geneva in 2009, Hong Kong in 2005, Cancun in 2003, and World Carbon Conference in Beijing, Nov 2009. Dr. Sen paying homage to Late Prof. Alak Ghosh.